By now, you’ve likely heard of Credit Karma – the website has been plastering its (somewhat annoying) ads all over television. The Google-backed service tells you your credit score and suggests ways you can improve it, all without requiring you to enter your credit card information. 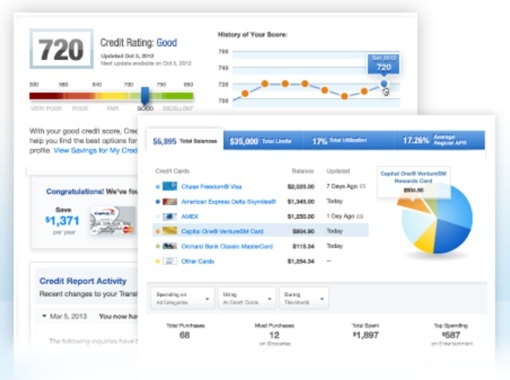 Now, starting this week, Credit Karma also offers your full, free credit report from TransUnion as well. As opposed to other credit reporting sites that attempt to sign you up for a premium credit monitoring service, Credit Karma makes its money by serving you advertisements instead. The ads are based on your credit profile and are typically for financial products like credit cards. Want to get started and check out your own free report? Just head over to creditkarma.com and click the big orange “Get Started Now” button. You’ll need to set up an account by entering your name, phone number, address and social security number. And be prepared – the site may request you answer verification questions specific to your own life (i.e., “Which of these address have you lived at before?”). The entire process takes no more than 1 or 2 minutes. Remember, though – Credit Karma will only serve you your TransUnion data. If you want to check your credit reports from all the major agencies, you can do so for free once every 12 months by visiting the federally backed website annualcreditreport.com.